You’ve got to hand it to Imelda Marcos – she puts on a damned good show. Her hubris knows no bounds. Emboldened by her October 1998 acquittal on the graft charges that had kept a lengthy prison term hanging over her head since the early 90s (she never served a day behind bars), and by the 1998 election that brought a pro–Marcos President to power, in the person of Joseph Estrada, she has decided to go for broke. Specifically, to publicly admit to fabulous wealth, after years of denying it, and to flaunt it. The only small obstacle in her path, according to her, is that this treasure trove is not actually in her possession, but that of hitherto trusted accomplices, the infamous Marcos cronies. They’ve got it, but only for safekeeping, according to Imelda, and she’ll move Heaven and Earth to get it back. In late 1998, Imelda contacted the Philippine Daily Inquirer (PDI) and offered to tell all. Her choice of media outlet was interesting in itself – PDI was founded in the latter years of the Marcos martial law regime to oppose the dictatorship. However, no self respecting newspaper was going to pass up an exclusive of this magnitude. Imelda invited PDI reporters to her luxury homes and gave them free access to a mountain of documentation. In December 1998, the PDI started running what was scheduled to be a nine part series of articles by Christine Herrera, every one of them to be front page leads. And what a story she had to tell. Part 1 had the eyecatching headline: "Imelda to file P500–B suit vs Marcos cronies; ‘We own practically everything’" (5/12/98). She wasn’t kidding: "We practically own everything in the Philippines, from electricity, telecommunications, airlines, banking, beer and tobacco, newspaper publishing, television stations, shipping, oil and mining, hotels and beach resorts, down to coconut milling, small farms, real estate and insurance". She claimed Marcos ownership of huge conglomerates such as the San Miguel Corporation, and vital pillars of infrastructure, such as the Philippine Long Distance Telephone Company (PLDT). It is her contention that Ferdinand Marcos entrusted his holdings in all these blue chip companies (at least 150 of them) to his cronies, who proceeded to not return them, and to profit mightily from them. "They were paid well, supported and allowed to live the lives of the rich and famous and look what we’ve got? A betrayal. They were tapped by Ferdinand, supposedly to guard his interests in those companies. But look what happened, they wanted everything" (PDI, 9/12/98; "Imelda: We made Tan, Cojuangcos"; Part 5). The 500 billion pesos (divide by 20 for $NZ or by 25 for $AUS) is described as a conservative estimate; Marcos lawyers say that it might go as high as a trillion pesos. If such a case or cases actually comes to pass, it will undeniably be the biggest litigation in Philippine history. The P500 billion is in addition to the P22 billion ($US580+million) of Marcos wealth found in Swiss banks, and being held in trust for human rights victims of the Marcos dictatorship. Interesting when you consider that the 1965–84 tax returns for Ferdinand and Imelda Marcos declared a total combined income of P6,756,301. Imelda’s first target is PLDT, specifically to attempt to block the P30 billion deal passing control of the company to the Suharto–linked First Pacific Co. She contends that a 1967 deal establishes the Marcoses as the real owners of PLDT, not the leading crony family, the Cojuangcos. She is targeting the Philippines’ leading capitalists, such as billionaire Lucio Tan (Fortune Tobacco, Allied Banking, Asia Brewery, and Philippine Airlines. He is also a very close friend and ally of President Estrada). "That Lucio Tan, he’s nothing, just somebody who used to buy used bottles" (ibid). Her logic is impeccable – the Government, via the Presidential Commission for Good Government (PCGG) has tried since the mid 1980s to prove that these companies are Marcos owned and controlled. It has been stymied at every step by failure to prove ownership. So now Imelda openly admits ownership, and wants control back. But unlike the PCGG, she asserts that ownership came from legal, not illegal, Marcos wealth and that her motive for going public is to clear her late husband of the accusation of being a thief. Indeed, Imelda claims that Marcos used his vast fortune to personally finance the development of the Philippines – but presents zero evidence to support this incredible claim. "We will take back everything that the trustees [cronies] held on behalf of Ferdinand Marcos, including those that they sold and surrendered to the Government… Whoever bought any of the Marcos companies or assets will have to face us in court" (PDI, 6/12/98; "Imelda vs cronies; ‘I’ve deeds of trust, stock certificates’"; Part 2). "Lucio Tan bought PAL using money from Fortune Tobacco and Allied Bank, both of which are majority owned by the Marcoses" (ibid). One company she is determined to regain is Manila Electric Co. (Meralco), claiming that Marcos had bought it off the Lopez family in 1973 (the Aquino government returned it to the Lopezes). The Lopezes provided a chilling account of how the new rich Marcoses had supplanted the old rich. The family patriarch, Eugenio Lopez Sr., had indeed signed over Meralco in 1973 to the Marcoses. Why? Because, under the martial law dictatorship, Lopez’s son, Eugenio Jr. was being held by the military. The Marcoses offered to release him in exchange for control of the Lopez fortune – they then welshed on the deal and didn’t release the son (he escaped to the US, after five years behind bars). The "sale" price was bogus – the Marcoses paid no more than a P10,000 deposit. Their motive for this hostage taking and blackmail was not because they particularly coveted Meralco, but because they wanted to destroy the influence of the Lopezes who, via their paper, the Manila Chronicle, had attacked the graft and corruption of the Marcos regime. A Mountain Of Gold Or A Crock Of The Old Proverbial? So where did this fabulous but allegedly legal Marcos wealth come from? That’s where the "Imelda vs cronies" series gets really interesting, not to mention entering the realm of fantasy. Part 4 (PDI, 8/12/98) had the astonishing headline: "‘Marcos had gold hoard of 4,000 tons’". According to Imelda, Marcos was the world’s shrewdest gold trader, accumulating his first 1,000 tons whilst a guerilla fighting the Japanese in WWII (the legendary Yamashita Treasure) and amassing 4,000 tons by the 1970s (as against the Bangko Sentral ng Pilipinas’ [BSP] mere 650 ton gold reserve). She reckons that he bought gold at $US 17 per ounce and sold it at $US 32. Things really took off in the 1970s, when the price of gold hit nearly $US 800 per ounce. Not surprisingly, this claim met with derision, both in the Philippines and abroad. Experts pointed out that 4,000 tons represents South Africa’s gold output over ten years, and the Philippines’ in 100 years. Gabriel Singson, BSP governor, said: "We will just become the laughingstock of the world" (PDI, 10/12/98; "Gold experts aghast at Imelda claim"), when asked if the Government intended to try verifying Imelda’s claim. Even her own daughter found it all too much to take. Representative Imee Marcos said: "We love her dearly, but sometimes she goes wild and crazy and it’s very exciting to watch" (ibid). Public opinion on the whole business was most succinctly summed up by Rep. Joker Arroyo: "There is no more honor among thieves. They’re now all dirty, quarrelling thieves and I hope they kill themselves fighting over the loot" (PDI, 8/12/98; "Senate asked to probe impact of Imelda claims"). Christine Herrera’s nine part series in the PDI got no further than Part 5. After that, Imelda pleaded with the paper to stop publication, citing fears about the safety of her family. "My fax machine is throwing up death threats. We had to change the number. People are scared. It’s like Pinatubo. My children are getting death threats. Imee is crying. Irene is crying. Bongbong does not like what has been happening. They told me, ‘Mommy, we just want peace’" (PDI, 10/12/98; "Imelda fears for life, begs to stop series"). The Inquirer acceded to her request and prematurely ended the series. The story was gone, but very far from forgotten. The cronies themselves (several of whom have already been given legal immunity by previous governments, because of cooperating in the hunt for Marcos assets) were definitely not going to roll over and play dead. "See you in court", was the Cojuangcos’ reply to Imelda’s plans to sue them over the sale of their PLDT stake. The extraordinary revelations (backed by extensive documentation and universally deemed credible, except for Imelda’s golden fairytale about how Marcos got his fortune) focused attention right back onto the unedifying spectacle of cronyism, which is as prevalent under Estrada as it was under Marcos. Same cronies too, with Lucio Tan and Danding Cojuangco to the forefront. The thousands of Marcos–era human rights victims who have successfully sued the Marcos estate in US courts also had a keen interest in Imelda’s admissions of a vast fortune. SELDA, the organisation of ex–detainees, called on the Estrada administration to conduct a thorough investigation of the Marcos family, covering all their crimes against the people. Marie Hilao Enriquez, secretary general, said: "Now that Imelda Marcos has revealed their not–so–hidden wealth, the Government has enough basis for an investigation covering not only the plunder which the Marcos family committed but also to include the murders, abductions, and torture they ordered. "We should not let the opportunity pass, there is an element of truth to the delusion–filled statements of Imelda Marcos. In fact, when Imelda talks like a crazy woman, she is just being herself. And these are the rare moments when she tells the truth. We just have to sift through her statements and arrive at a goldmine, literally and figuratively. When the Hawaii Federal District Court ordered the Marcos family to indemnify the victims of human rights violations, Imelda claimed that she was poor. And now that she has an attack of her Imeldific disease, she claims that they own almost all strategic corporations in the Philippines. Everybody knows this but the Marcos family had denied it in the past. To start with, she can be investigated for illegal trading of gold. Second, they can be investigated on the source of the ill–gotten wealth thereby strengthening the graft charges against them. And equally if not more important, they should be held criminally liable for the murders, abductions, and torture that they ordered against the 10,000 victims of the Marcos fascist dictatorship" (press release, 9/12/98; "SELDA calls for thorough investigation of Marcos family"). Romeo Capulong, SELDA’s lawyer, said that those 10,000 victims will claim P150 billion of Imelda’s purported P500 billion fortune. The Senate summonsed Imelda to appear before one of its committees. Her lawyers asked for her to be granted legal immunity. PDI was editorially outraged (12/12/98; "Pillage"): "Why on Earth should anyone give immunity to Imelda Marcos? …Lest we forget, the dictatorship was a conjugal one …Imelda was part of the terror, Imelda was part of the theft. You absolve Imelda of wrongdoing, which is what immunity means, and you might as well close the books on martial law and tell your kids it never happened…" She didn’t get immunity and had to appear before the Senate committee in December 1998, something which would have been unimaginable in her days of absolute power. She put on a typically bravura performance, invoking her right to remain silent more than 50 times. She also said that she had merely had a "conversation" with PDI’s Christine Herrera, not an interview for publication. Herrera herself appeared before the committee to set the record straight. After having been contacted by Imelda, the PDI’s editor–in–chief had personally led the paper’s entire business staff in scouring the Marcos records and documents that had voluntarily been made available to the paper. In December 1998, the Supreme Court, headed by new Chief Justice, Hilario Davide, dealt the Marcoses a hefty blow by voiding the deal between the Marcoses and the Presidential Commission on Good Government (PCGG) to split the Marcos estate 75% (for the State) and 25% for the Marcoses. The Court went further and overturned a proposed 1993 deal which would have granted the Marcoses immunity from criminal and civil suits. The judgment said: "This effectively ensconced the Marcoses beyond the reach of the law and sets a dangerous precedent for public accountability. It is a virtual warrant for public officials to amass public funds illegally, since there is an open option to compromise their liability in exchange for only a portion of their ill–gotten wealth" (PDI, 10/12/98; "No compromise: High court zaps 75–25 Marcos deal"). However, Imelda is not too worried about a few legal setbacks. She feels that the tide is turning in her favour. As one of her lawyers said: "Why would we compromise with either the Government or the victims if we can get the entire assets and properties back through winning legal battles?" (New Zealand Herald, 18/1/99; "Estrada close to deal over Marcos billions"). Imelda is counting on her friend, President Estrada, to cancel out any minor inconveniences like adverse court decisions. Thirteen years of PCGG hunting for Marcos assets has only come up with peanuts – about $US2 million in stocks, real estate, cash in Swiss accounts and jewellery. Estrada is keen to do a deal, to get the Government’s hands on some of that fabulous booty, regardless of any Supreme Court decision. And then, of course, there are the actual victims of the long years of the brutal Marcos dictatorship. Kapatiran has been following for years the slow moving saga of the thousands of human rights victims of the Marcos dictatorship who, having got nothing in their own country, took action in US courts. The logic of this is that it was to Hawaii that Ferdinand and Imelda flew their loot, way back in 1986 and took up residence – hence, US courts have jurisdiction. In February 1994, a Honolulu jury awarded $US 1.2 billion exemplary damages to over 9,500 victims or their families who took a class action suit against the Marcos estate (the case was filed in Hawaii in 1986; it came to trial in 1992). They were separated into three categories – victims of torture; summary execution ("salvaging"); and disappearance. In January 1995, the same jury awarded those plaintiffs a further $US 766.4 million in compensatory damages. A separate case involved 21 "direct action" plaintiffs who were awarded $US 6.1 million. Breathtaking awards are one thing – collecting it quite another. There have been appeals, delays and downright refusal to cooperate from each and/or all of the parties involved. The result, thus far – despite $US 540 million being moved from Switzerland to the Philippines – the human rights victims haven’t seen a cent of it ($US 1 million secured from a Marcos crony in a separate Hawaiian case has all gone to lawyers’ fees). There has been a ceaseless campaign to get the Government to facilitate a just settlement of the claim, citing not only the various US court judgements but also the Comprehensive Agreement on Respect for Human Rights and International Humanitarian Law (CARHRIHL), signed by President Estrada in August 1998 as part of ongoing peace talks between the Government and the National Democratic Front (NDF), the Communist–led movement that has waged an armed struggle for nearly 30 years. The Agreement commits the Government to facilitate the immediate settlement of the claim. This $US 540 million (which, with interest, has grown to over $US 580 million) is the only identifiable Marcos money that the Philippines government could actually find in Swiss banks. Imelda’s latest revelations tend to put all that into perspective (as does the claim by veteran private investigator, Reiner Jacobi, that he had located a Swiss account worth $US 13.2 billion in the name of Irene Araneta, the youngest Marcos daughter. The Government denies the existence of any such account). The money has not been physically moved to the Philippines – before that happens, the Government has to submit a report on how it will distribute the money to the human rights victims; and there must be a tripartite agreement between the Marcoses, the Government and the victims. Estrada seems unfazed by all this and announced that the Government might dip into the money, if it feels like it: "If we fall short of our projects in our agriculture, we will use it. The money is there, why shouldn’t we use it? We will just borrow it anyway" (PDI, 24/12/98). SELDA announced that it would take court action in Switzerland to stop the money from falling into the hands of the Government, and to prevent it being used as collateral for Government loans. The victims themselves are split, between SELDA and a rival group, Claimants 1081, headed by Etta Rosales. Much energy has been dissipated into attacking each other and American lawyer, Robert Swift, who is claiming 25% of any payout as his cut. "Vulture" is one of the more polite names he has been called in the barrage of SELDA and NDF press releases. The latest move is a "settlement" announced by Swift, the Marcoses and the Government, in February 1999. The victims would get $US 150 million, or less than 10% of the amount awarded. In his defence, Swift pointed out that: "Class Counsel have pursued the litigation with unrelenting vigor for almost 13 years, including four years of collection efforts. Collection of the Judgment or any significant part thereof, through judicial execution proceedings, is unlikely and would take years of continued litigation in various countries at substantial cost. Class Counsel believes that virtually all class members would welcome a distribution at this time which would make a difference in the quality of their lives" (Robert Swift, Lead Counsel; Letter to Class Members, 2/3/99). There is a catch, of course: "In return for the payment, the Class and its members give up the right to continue executing on the Judgment, vacate the injunction and contempt citation and related fines, dissolve the judicial assignment and agree to release the Estate, the Marcos Family and the Republic of the Philippines from any civil claims for human rights abuses occurring between 1972 and 1986" (ibid). Not surprisingly, both SELDA and the NDF totally rejected this proposed deal. "... The Estrada regime has violated Article 5 of Part III of the Comprehensive Agreement on Respect for Human Rights and International Humanitarian Law (CARHRIHL), concerning the indemnification of victims of human rights violations under the Marcos regime. The Government has ignored and violated this provision of the CARHRIHL by entering into a rotten ‘settlement’ agreement with the Marcoses and the American lawyer Robert Swift behind the backs of the human rights claimants. That the settlement of the class suit is calculated to malign and exclude a good number of class members and individual plaintiffs and deprive them of compensation. "Mr. Estrada is swindling the human rights claimants..." (NDF press release, 3/3/99; "NDFP holds Estrada responsible for betraying victims of human rights violations"). SELDA threatened to institute disbarment proceedings against Swift in the US, unless he withdrew from the proposed settlement, saying that he had deliberately misled the human rights victims on granting total immunity to the Marcoses. For his part, Swift accused the Marcoses of a breach of faith, namely failing to transfer the $US 150 million into the custody of the US court within the time span ordered by the agreement. The Marcoses are in no hurry to hand over any money to anyone. The sickening reality of the Marcos years was vividly brought to life by reports that two of the Marcos children, Bongbong and Imee, said that they had no reason to apologise for anything that happened during the dictatorship. The media reminded Imee, now the Representative for Ilocos Norte (the Marcoses’ province), that a 1989 US court judgement had found her responsible for the killing of Archimedes Trajano, a student, and ordered her to pay the victim’s family $US 5 million damages. In 1977, she had spoken to students at a Manila campus forum – Trajano had publicly criticised her and the dictatorship. Right there and then, he was seized by her goons and was never seen alive again. When his body was found a week later, it bore the signs of terrible torture – extensive bruising, a fractured skull, his eyes removed, and his intestines ripped out. That sort of murderous brutality happened to thousands of other Filipinos during the Marcos years. "They were riddled with bullets during encounters with military forces, water–cured, electrocuted and submarined (drowned) until their last breath. Some of them were buried alive, most women were sexually maligned before being killed. There were also some who just vanished into thin air. All of them have fallen into the night" (PDI, 30/11/98; "Marcos martyrs honored today"). Some of the torturers and murderers are escaping justice by dying a peaceful death. The most notorious of these was General Fabian Ver, Marcos’ cousin from Ilocos Norte, who rose to become his dreaded chief of secret police and Armed Forces of the Philippines Chief of Staff during the long years of martial law. General Ver was the most reliable iron fist of the Marcos regime. The mention of his name alone used to invoke terror. 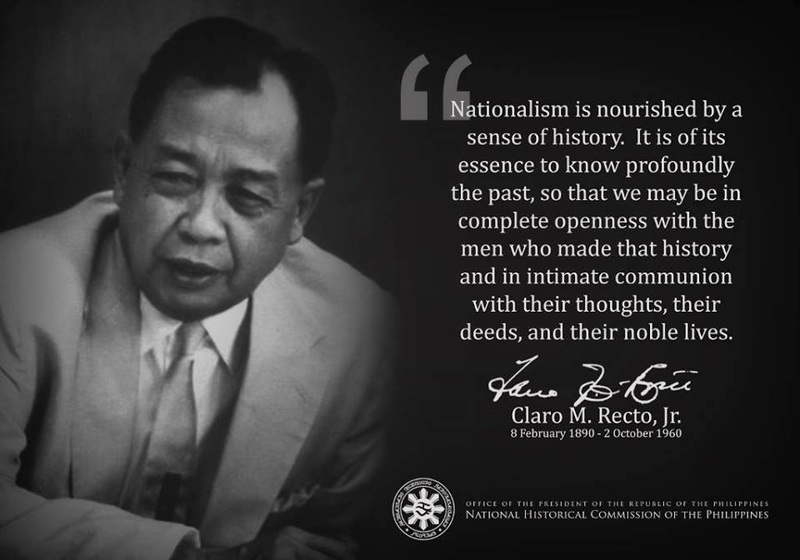 As chief implementor of martial law, Ver used the most brutal methods to exterminate any expression of resistance. He was responsible for the arrest and detention of more than 100,000 persons and the dislocation of five million families due to military operations. He was the most loyal of all the Marcos henchmen: "It was not just any ordinary loyalty, the kind that exists between really close friends. It was a fanatical type of loyalty in the classic master–servant relationship, a throwback to the feudal history of the Ilocos. It was something akin to fierce Sicilian loyalty. Ver was the quintessential Marcos loyalist. He was ready to die for Marcos" (PDI, 27/11/98; "Ver’s bond with Marcos fanatical"). Ver remained a butcher to the end. On live TV coverage of Marcos’ last moments as President in 1986, Ver was seen urging him to order the bombing of rebellious soldiers holed up in Metro Manila’s Camps Crame and Aguinaldo, surrounded and protected by hundreds of thousands of civilians (the People Power uprising that overthrew Marcos). The carnage would have been enormous. Thankfully the order was never carried out, and Ver and his family joined the Marcoses in fleeing to the US. He never returned to the Philippines alive. Successive Presidents banned him and his family from returning, citing them as security risks. In August 1998, Estrada lifted the ban, but reminded Ver that he would have to stand trial upon his return. There were several serious charges against him, none more so than that of being an accomplice in the 1983 murder of Ninoy Aquino (it was highly likely that he would have been upgraded to principal offender if he had ever stood trial). There is strong evidence that Ver was behind Aquino’s murder at Metro Manila’s airport (which is now named after Aquino). American documents unearthed by Raymond Bonner whilst researching his definitive 1987 book, Waltzing with a Dictator, indicate that Marcos wanted Aquino dead; that he scoured the history of political assassinations for a model, being greatly impressed by the 1980 murder of Archbishop Romero in El Salvador. But, apparently, Marcos did not give the order to have Aquino killed in such a cack–handed way at the airport and flew into a rage when he learned of it. That one crime (out of so many) shocked the world and was the undoing of Marcos and Ver. Ver died in exile, in Bangkok, in November 1998. He took the secret of Aquino’s murder to his grave, along with all his other dirty secrets. Like the Marcoses, he never apologised or expressed any remorse about anything. Estrada allowed the dead henchman back into the country, along with his family, so that he could be buried in Ilocos Norte (where he and Marcos are still regarded as heroes – local boys made good). To add insult to injury, he was buried with military honours on National Heroes’ Day (November 30). On that same day, Cory Aquino unveiled a new statue of Ninoy Aquino in Makati, and human rights groups honoured the victims of Marcos and Ver. "As the military pays its respects to one of the persons who played a key role in the plunder and oppression of the country during the Marcos dictatorship, friends and relatives of victims of human rights violations will honor the true martyrs of the land – those who offered their lives to fight for genuine freedom and democracy" (PDI, 30/11/98; "Marcos martyrs honored today"). KARAPATAN paid ‘tribute’ to the memory of Ver. Secretary General Marie Hiliao–Enriquez said: "death may have extinguished General Ver’s legal liabilities, but it will never absolve him of the widespread and blatant atrocities committed during the Marcos dictatorship". On the insistence that Ver be buried with full military honours, said Enriquez, "following military tradition breeds more military monsters who believe they will be honored in death despite their abusive records; it creates a feeling of impunity". She condemned the Estrada regime for giving more attention to the burial of human rights violators like Marcos and Ver, than to justice for their victims. At least Ver was able to be actually buried. Marcos lies in Ilocos Norte, still unburied. Imelda wants a presidential burial, with all the trimmings — outraged public opinion has kept him above ground. So, thirteen years after the Marcoses and their henchmen and cronies were overthrown by a popular uprising, they remain unrepentant, unpunished, and still untouched by the legal processes of either the Philippines or the US. Justice has not yet been done; it hasn’t even begun. About the Author: Murray Horton is editor of KAPATIRAN and Secretary of the Philippines Solidarity Network of Aotearoa (PSNA). He has visited the Philippines several times, most recently spending a month there in 1998.